Those two demented, loveable German rogues Modeselektor have been sharpening their tools and mincing some beats for a good many months now in preperation for their first new material in god knows how long – and its an absolute belter! The Modeselektor agenda has alweays been about beats and bass – both of the heaviest, squashed, endlessly mashed up variety. 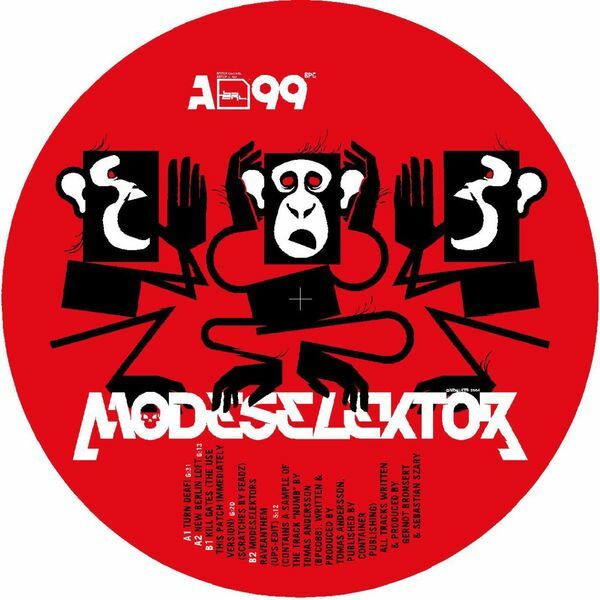 But this isnt your run of the mill mentalist cut-up sh*t. Modeselektor feel the funk and crunch it up with all the care, attention and goodwiil you’d get if Timbaland was hanging out with Autechre, Buju Banton, Otto Von Schirach and Busta Rhymes – squashed and decimated by a factor of 10. These guys are so totally on it – make sure you join the party. Killer!